Here is my first Ipsy bag review! I wanted to subscribe for the April bag because I really wanted to try the full size blush that was shown in the preview. I am very happy with this month's bag but I'm not sure if I'm going to stay subscribed because I am trying to reduce my number of beauty box subscriptions. 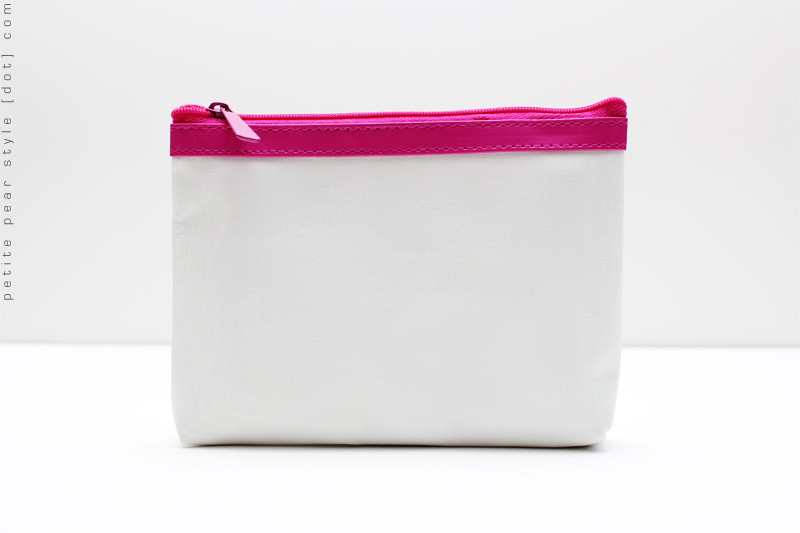 We received a white nylon cosmetic bag this month with hot pink accents. I really like this bag but worry that I'm going to get it dirty very quickly. I am not very good at keeping things clean! Despite my inability to keep whites white, I do love how this bag is so minimalist and simple in nature. I saw on the Ipsy Facebook page that a lot of subscribers decorated their bags - some were hand drawn and some involved applying appliques or (my personal favourite) glitter! I just noticed that this nail lacquer shade is from the 2012 Marie Antoinette collection... I love it even more now! It's a beautiful sheer pink. I think this shade makes my nails look healthier and my hands more lady-like! :) Two thick coats will still result in visible nail line but the colour is buildable and the formulation is easy to work with. Subscribers received one of two available shades. At first, I thought both shades were exclusive to Ipsy but it appears that only the outer box was customized. The other colour that was sent out was Love at First Byte. 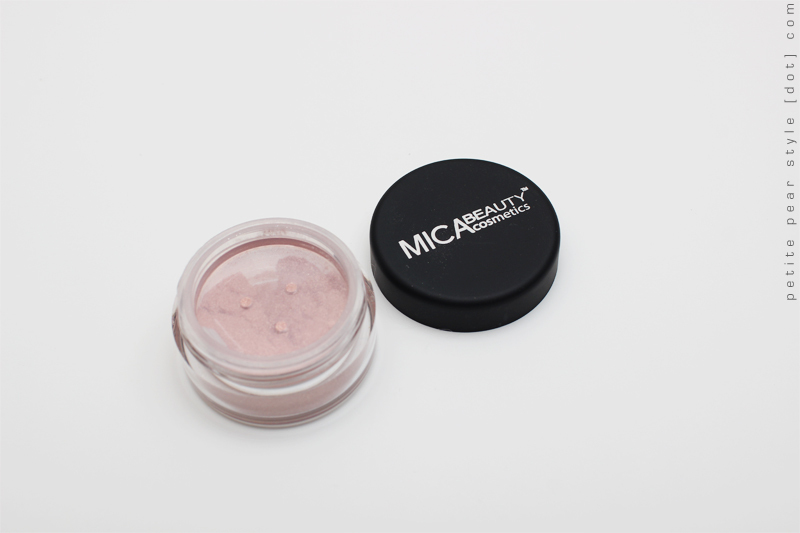 I couldn't find this exact product on the Mica Beauty website - there is no shimmer powder (only a glitter powder, which looks like a chunkier glitter and there is also no "earth" shade). I am thinking the shimmer powder is the mineral eye shadow and I've used it on my eye with really pretty results. 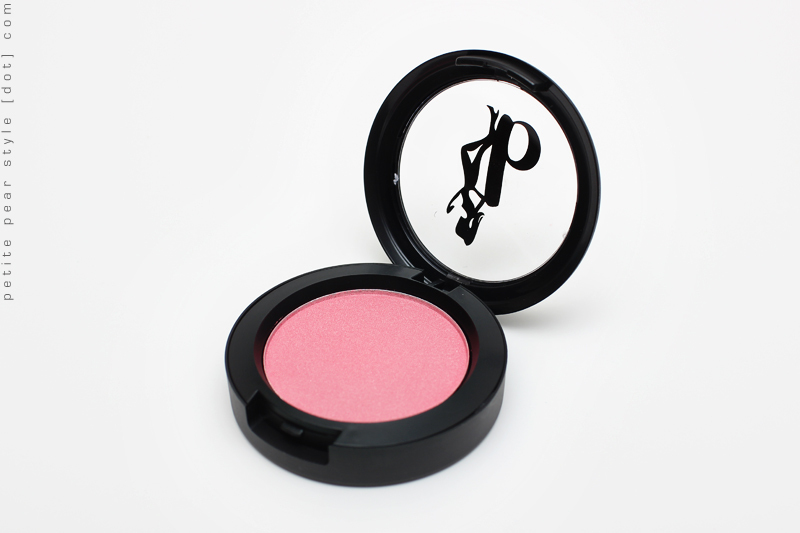 This is a beautiful shimmery peachy champagne shade and I find it flattering and very wearable. The sample size is great too and will probably last me forever. Here is the product that enticed me to subscribe to receive the April bag! I was actually hoping for the other shade (Beach Please) but now that I've had a chance to wear Sweet Cheeks, I am very happy with it. It's a satin finish (almost frosty) and it is highly pigmented so a little goes a very long way. It gives my complexion a really pretty, natural looking, healthy glow and I've been wearing this blush every single day... even to work! I usually wear matte blush to work but this one was too pretty to pass up and I need a little glow to combat the cold, grey skies of late. Overall, I really loved this month's bag! We received a nice variety of products - for the eyes, face, nails, and hair. 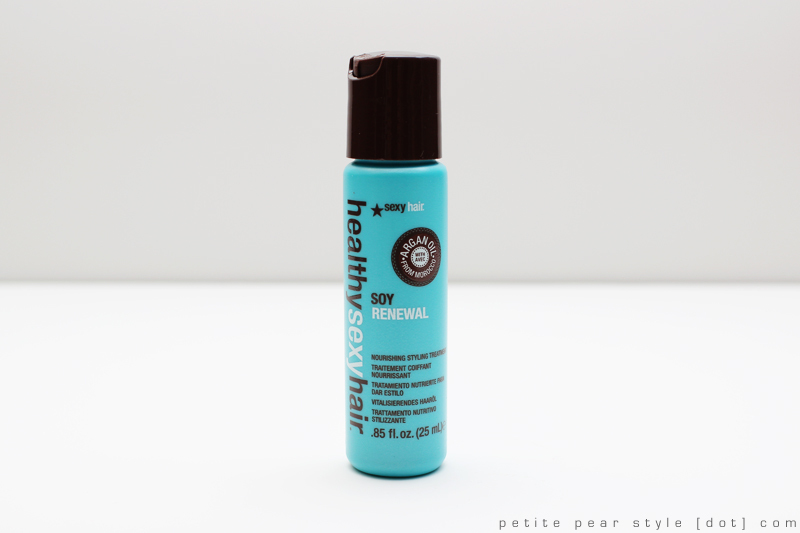 I loved that all of these brands were new to me and the sample sizes were all very generous. There was also a nice mix of well known brands along with niche brands. I am very happy with the April Ipsy bag and I am going to wait until the May preview comes out before I decide whether to stay subscribed. Are you subscribed to Ipsy? If so, what do you think of the products in the April bag? I just subscribed for May since they opened subscriptions again. I'll give it a few months. I don't have any predominantly make-up focused subs. oooh can't wait to read your reviews on it! :) i'm eagerly awaiting the may preview so i can decide whether to keep my subscription! it looks like such a pretty shade!! :) the other bag i would have loved to receive is the one that had the pacifica lotion in it... that almost made me subscribe but i think there was a wait list at that time so i probably wouldn't have received that bag anyway. again thanks a bunch!! (: and love your blog! haha! it's hard to stop once you start so i admire your self control! i may cancel ipsy even though i really liked this month's bag... i have way too many subs! !